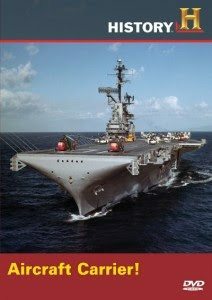 Synopsis: The dramatic story of how the Esxxx-class aircraft carriers rose like a phoenix after the Pacific Fleet’s destruction at Pearl Harbor. Weighing in at over 27,000 tons, and over 800 feet in length, they were known as floating cities — and the spearhead of every naval battle in the Pacific Theater of War. Despite their huge size, each carrier was terrifyingly vulnerable, holding tens of thousands of gallons of fuel. Though the target of kamikaze assaults, no carrier was sunk by the Japanese.